Built in 1859, the Grade II listed Stephens House and Gardens is stately house, located in Finchley, North London. The land where Stephens House sits dates back to the 12th Century with significant ties to the Knights Templar. Stephens House was ravaged by fire in 1989 and since then significant works have been put in place to restore the property back to its original state. The changes are intended to provide a modern facility, capable of hosting conferences, business functions and in particular a lavish wedding venue. £2.1m was awarded by the Heritage Lottery Fund to help fund the project with a £250,000 committed by Barnet Council. 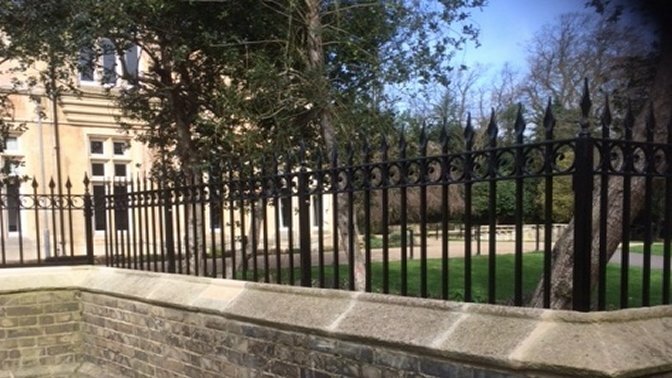 Alpha Rail was asked to supply and deliver flat top metal railings and bespoke trip rail. Alpha Rail supplied 34 metres of 870mm high double flat top metal railings after an initial site survey was conducted to take precise measurements. The top rails featured a decorative circular effect hooped insert and finished with a striking spear shaped finial. Also during the site survey it was advised that trip rail would be required to deter visitors from walking on planted areas within the garden. In total 80 metres of 400mm high trip rail was installed, each with mounting posts featuring a laser profiling effect to give a further decorative appeal. 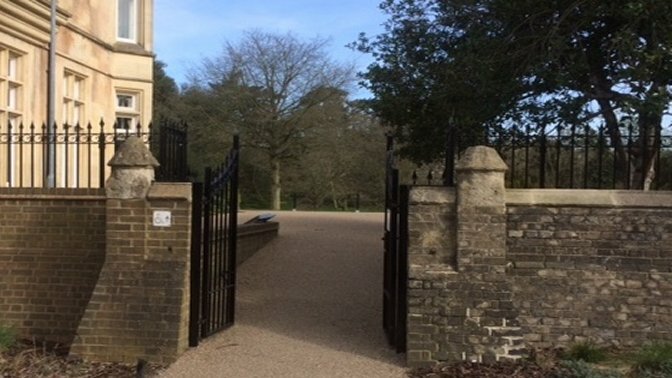 A two metre high decorative double leaf gate was also supplied and installed underneath an archway. All metalwork provided was supplied and delivered galvanized and polyester powder coated Black RAL 9005 in keeping with other garden furniture.